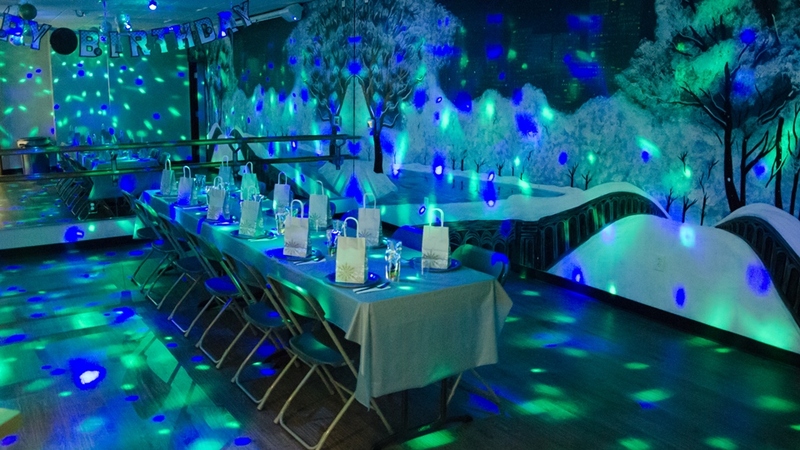 Celebrate your child’s next birthday party in our Winter Wonderland! 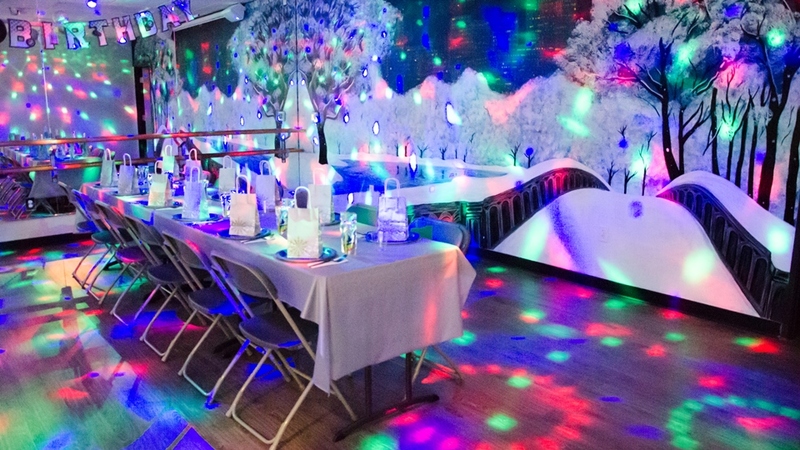 Our spacious party room offers disco lights and a beautiful winter backdrop scene. You can use our decorations, or bring your own. 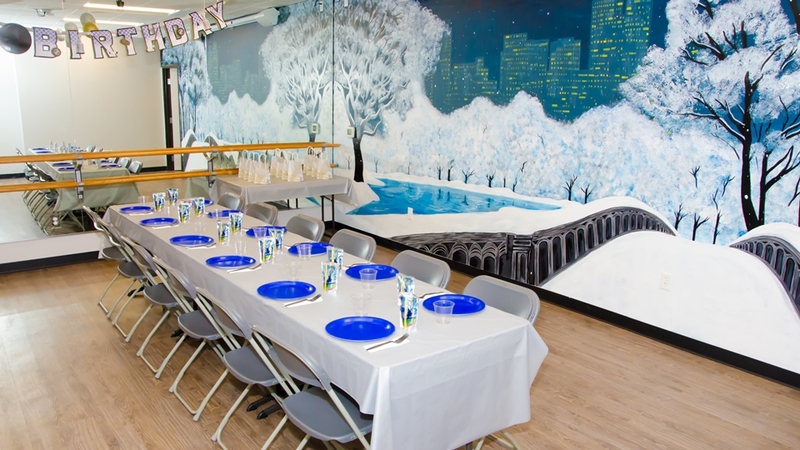 Leave it to our professional party hostesses to set up the party, entertain guests, and clean up! Be prepared for hours of ice skating fun, it will be a party to remember! Our parties are held on Saturday and Sunday during Public Session times. Click on the calendar below to check available times. Use of the party room for one hour fifteen minutes. 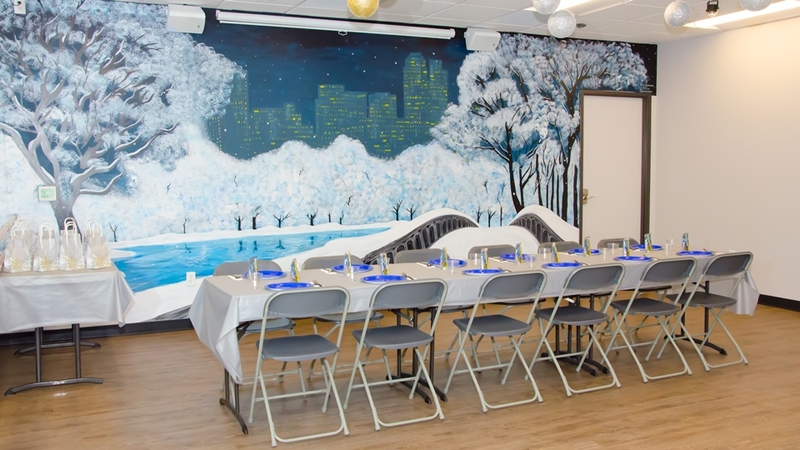 Please note that a non-refundable $149 deposit is required to book a birthday party. -Also, please note that we do not allow ANY balloons into the facility. -Any food items must be eaten in the birthday room or in the food court.